I am so thrilled to finally be able to share photos of the beautiful Caroline from her bridal portrait session earlier this spring! Caroline selected the lovely Reynolda Gardens in Winston-Salem, NC, for her portraits, and she couldn't have looked more gorgeous if she tried. I am utterly obsessed with her dress, and how absolutely perfect it was for her. Stay tuned to see a preview of Ryan and Caroline's wedding day coming to the blog soon! Like us on Facebook to keep up with the latest news and photos. All images ©2015 Glessner Photography. 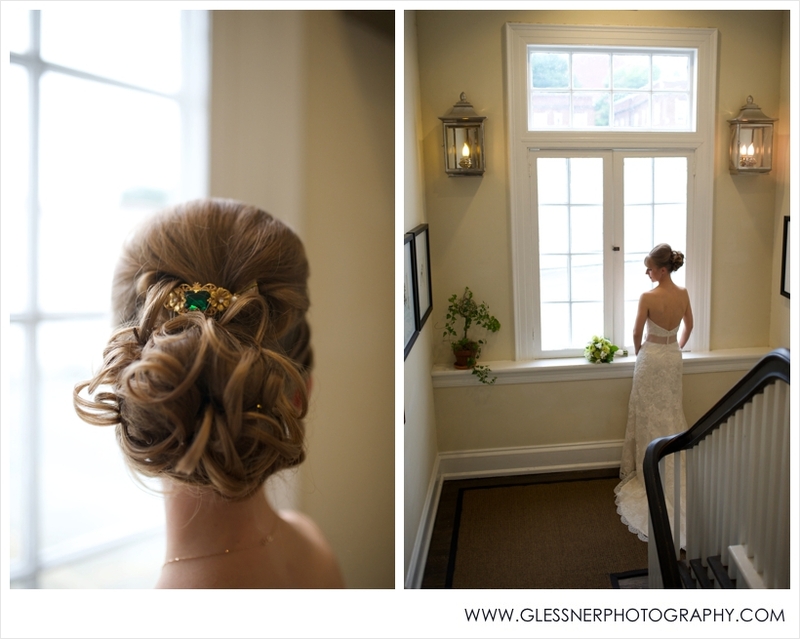 Please do not save, copy, edit, or use in any way without Glessner Photography's express written permission. Violators may be prosecuted. Aksana's bridal portrait session proved to be quite the adventure. It began pouring rain just before the session was scheduled to start, but determined to "make it work" (said in the voice of Tim Gunn, of course), we found refuge from the rain under this beautiful awning at the Paul J. Ciener Botanical Gardens in Kernersville, NC. Isn't she absolutely stunning?! Aksana is a true, classic beauty and just as kind as she is gorgeous. Since the rain put a damper on our original plans to have the entire session outdoors, the owner and chef at Spring House Restaurant in Winston-Salem were so kind to let us use their beautiful space. I first photographed here when this sweet couple had the idea to do their engagement session in the lovely bar area, and I've been in love ever since. Watch the sneak peek of Chris and Aksana's wedding day here. Complete wedding preview coming later this week. Like Glessner Photography on Facebook to get the announcement!